A greater variety of cables can be found in our cable shop. Extremely soft and flexible, therefore, providing excellent contact. OFS with 99.999% copper soft sheathing with red marking to identify polarity. 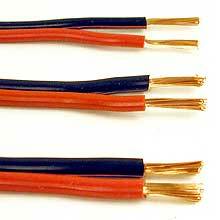 wires are 0.03 mm2, soft PVC sheathing with red marking to identify polarity. 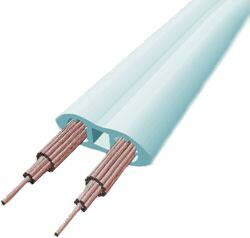 wires are 0.007 mm2, soft PVC sheathing with red marking to identify polarity. 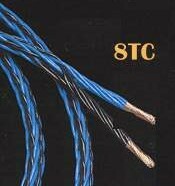 Enlarge Exceptional, speaker cable, 2 x 3 mm², each 3 strands of copper twisted with 3 strands of silver plated copper for a dramatical improved transmission for both, the highs and the bass response. 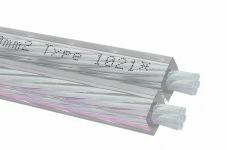 Enlarge Silver plated, ultraflat shaped speaker cable, for "concealed" installation. 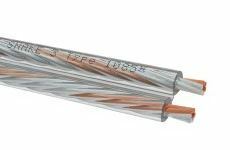 The cable construction with flat and sidebyside positioned leadwire strands offers a dramatical bigger electrical surface compared to regular speaker cable constructions for dramatically low transmision losses in the cable. 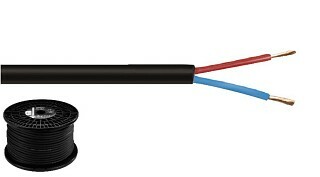 For internal wiring, with one red and one black insulated wire. 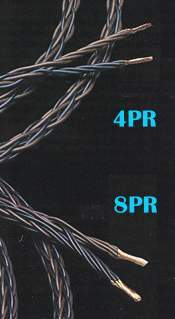 Standard cable, also used in finished speakers. 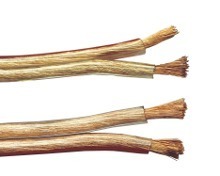 For internal or external wiring, with transparent insulated copper and silver plated copper wire.